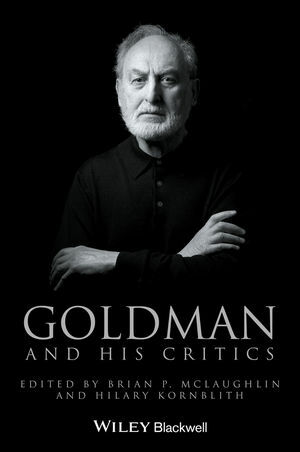 Goldman and His Critics presents a series of original essays contributed by influential philosophers who critically examine Alvin Goldman’s work, followed by Goldman’s responses to each essay. Hilary Kornblith is Professor of Philosophy at the University of Massachusetts, Amherst, MA. He is the author of Inductive Inference and its Natural Ground (1993); Knowledge and its Place in Nature (2002); On Reflection (2012); and A Naturalistic Epistemology: Selected Papers (2014). Brian P. McLaughlin is a Distinguished Professor of Philosophy and Cognitive Science at Rutgers University, New Jersey. He has published numerous articles on topics relating to the philosophy of mind, the philosophy of psychology, and metaphysics.